This year has brought me Japanese titles that disarm despite very little happening in their pages. Today, Assistant Managing Editor Rachael Pennington, who joined us in October this year, tells us about her year of reading Japanese literature—and how it gave her a heightened appreciation for the smaller details of life. 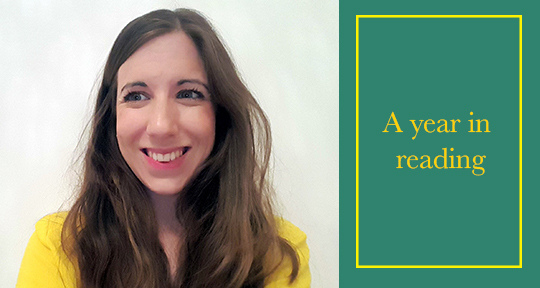 When asked to review my year in reading, my initial reaction was to think back to my most significant moments—travelling to Japan, getting a new job, seeing my best friend getting married—and to recount what I was reading at the time. But on second thought, remembering Ishiguro’s Nobel lecture, which celebrated “the small and private”, I decided to look past 2017’s more momentous occasions in search of the quiet moments of revelation. Asking myself, when nothing seemingly important was happening around me, what books was I reading in what Ishiguro described as “quiet—or not so quiet—rooms”? In the times I was caught up in the monotony of everyday life and lost to my daily routine, which books had tided me over and heightened my appreciation for the minutiae of life? I read Nastume Sōseki’s The Gate (translated by William F. Sibley) on several Sunday mornings throughout September. Here, cradling a hot cup of coffee and basking in the first rays of the day peeking through the window of my downtown Barcelona flat, I came to understand why Sōseki declared it his favorite amongst his works. The novel captures the intimacy of life through a minimal plot, tracing the magnificently undramatic existence of a middle-aged couple, old before their time. With this relationship as the anchor, people come and go, seasons flourish and wither, yet the patience with which Sōsuke trims his toenails and the grace with which Oyone carries the loss of their children never once falter.